Choosing a family sedan is a daunting task. 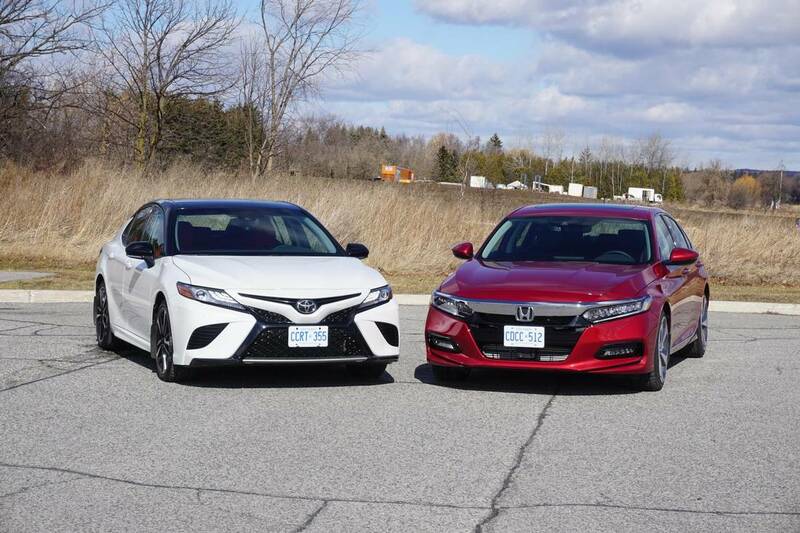 There are way too many choices, including the Honda Accord, Nissan Altima, Toyota Camry, Chevrolet Malibu, Ford Fusion, Hyundai Sonata and the Volkswagen Jetta – to name just a few. 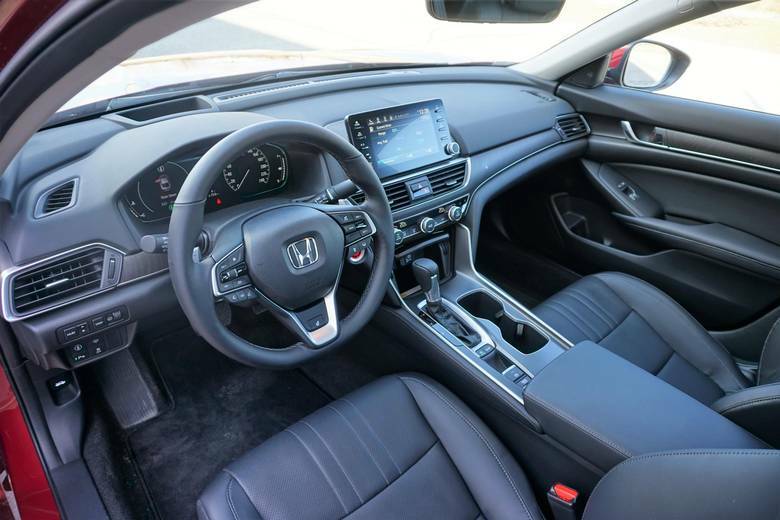 So when it comes to narrowing down your choice, a good option is to turn to the best-sellers like the Honda Accord to find out what all the fuss is about. 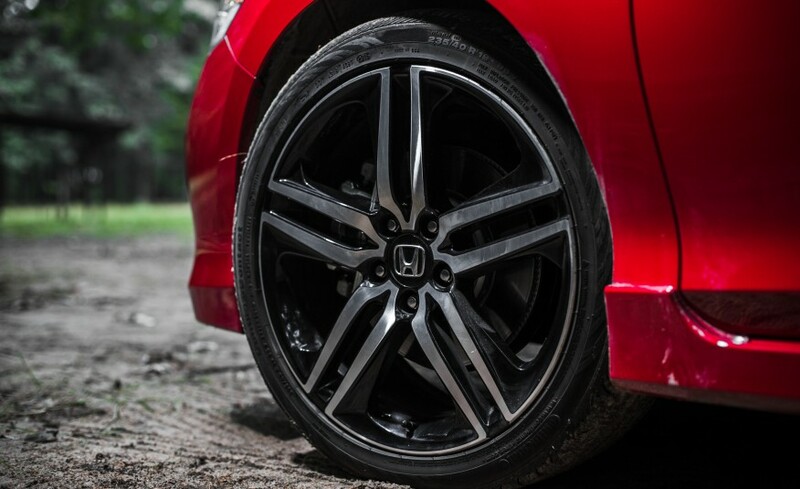 The 2010 Honda Accord sedan comes in a number of trims. The base LX model starts at $25,290. The most expensive model is the top-of-the-line EX-L V6 Navi sedan, which costs $37,390. My tester is in between – it’s an EX-L Navi sedan with an inline-four-cylinder engine. It’s $32,790 and offers a nice balance of luxury, practicality and affordability. The 2010 Accord is a carry-over from 2009. Design-wise, the Accord isn’t a stunner, but it’s not distasteful either. It has attractive sharp angles across its body. Even if you settle for the base model you won’t be disappointed. 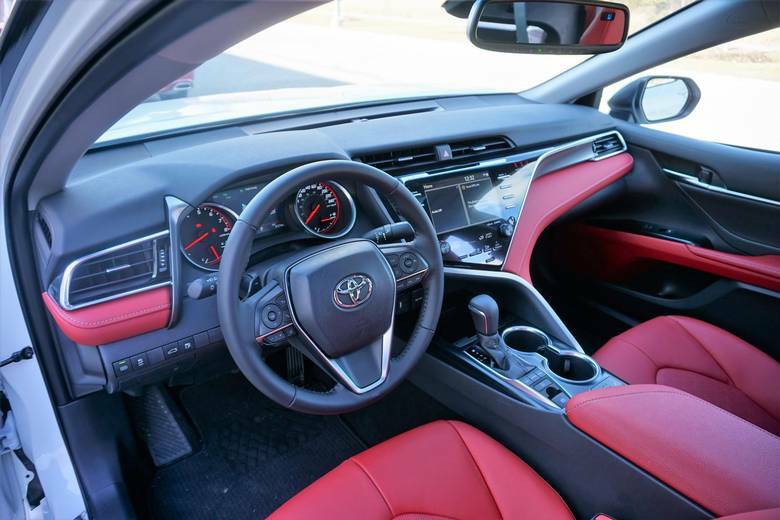 It’s well-equipped for the price, outfitted with power heated side-view mirrors, power door locks, power windows, cruise control and a tilt-and-telescoping steering column. My tester adds leather upholstery, heated front seats, a power moon roof and a fantastic navigation system that is simple and straightforward to use. 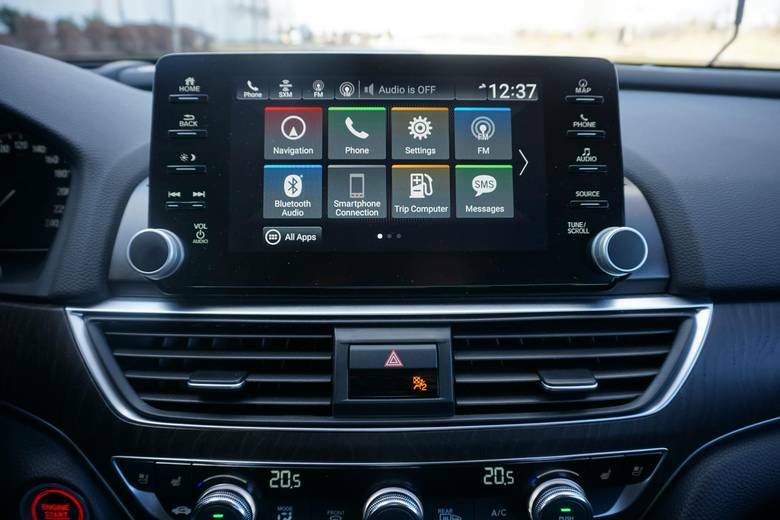 Unlike many other navigation systems with touch screens, this one is accessed via a dial you turn to scroll through the alphabet to input your destination. You can even do it while driving, which some people might consider a distraction, like talking on your cell phone. But it’s intuitive and fast – you barely take your eyes off the road to program it. What is distracting is the layout and all the buttons and knobs that surround the driver. It’s difficult to quickly find some functions, like the scan button. 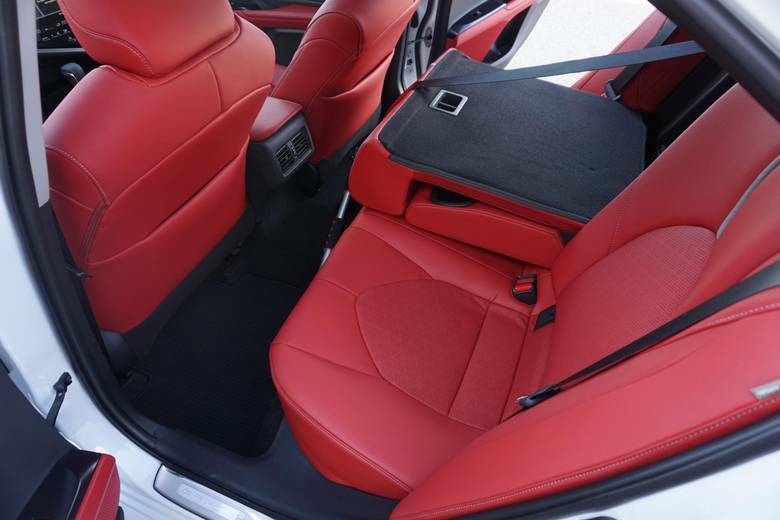 The cabin is spacious and the front seats are comfortable. They’re eight-way power adjustable with height adjustment; while the passenger seat is four-way power adjustable on my tester. The base model gets six-way adjustable seats, but it’s manual so it requires some elbow grease to find the perfect driving position. Buttons on the leather-wrapped steering wheel let you set the cruise control, change the radio, or adjust the volume. The controls are illuminated so it’s easier to see at night. My tester has an upgraded stereo with a 270-watt premium system with six-CD changer, MP3/WMA capability and seven speakers including a subwoofer. 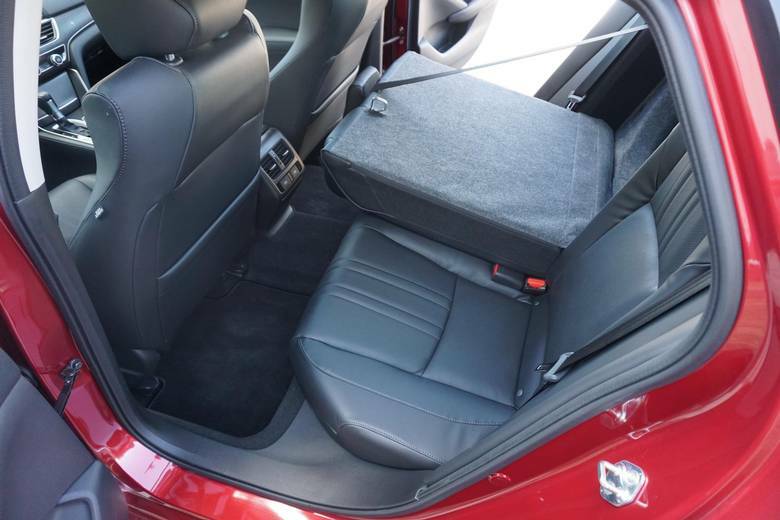 It also has many useful storage compartments including a centre console bin, front and rear door pockets, a sunglass holder, driver and passenger seatback pockets and dual front illuminated vanity mirrors. A centre armrest in the back has dual cup holders and a locking trunk pass-through to carry longer items such as hockey sticks or skis. In the rear, legroom is a little tight for taller passengers; but headroom is excellent thanks to the Accord’s tall roofline. 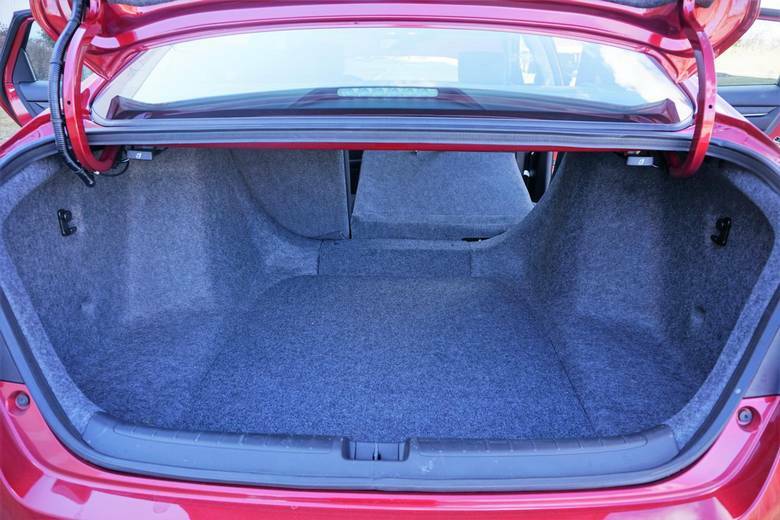 The trunk is spacious, too, with 397 litres of room. 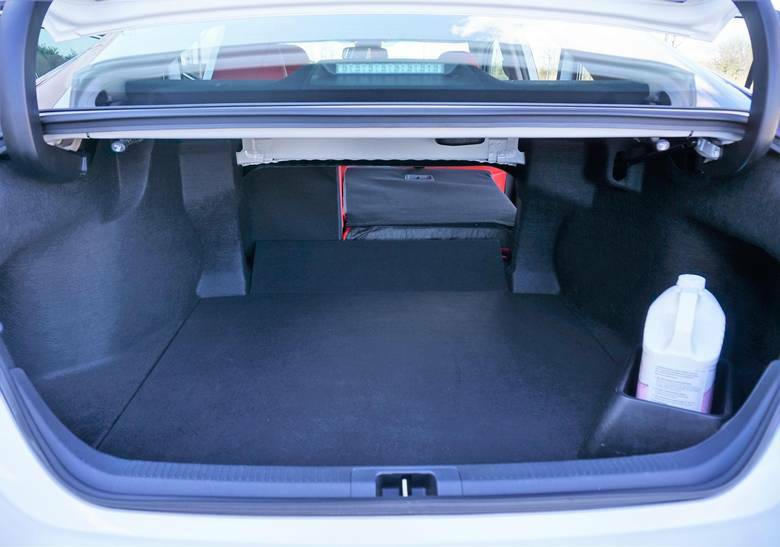 And the rear seats fold down should you need more space. My tester has a 2.4-litre four-cylinder engine with 190 horsepower and 162 lb-ft of torque. If that’s not enough you can opt for the top EX-L V-6 trim with a more powerful 3.5-litre V-6 engine that puts out 271 horsepower and 254 lb-ft of torque. Mated to the engine is a five-speed automatic transmission with smooth and seamless gear changes. There’s no manual-shift mode, either, which I like. I rarely use the gadget anyway. The four-cylinder doesn’t disappoint when it comes to the ride. Even though it’s a four banger, the ride is steady, refined, and compliant. 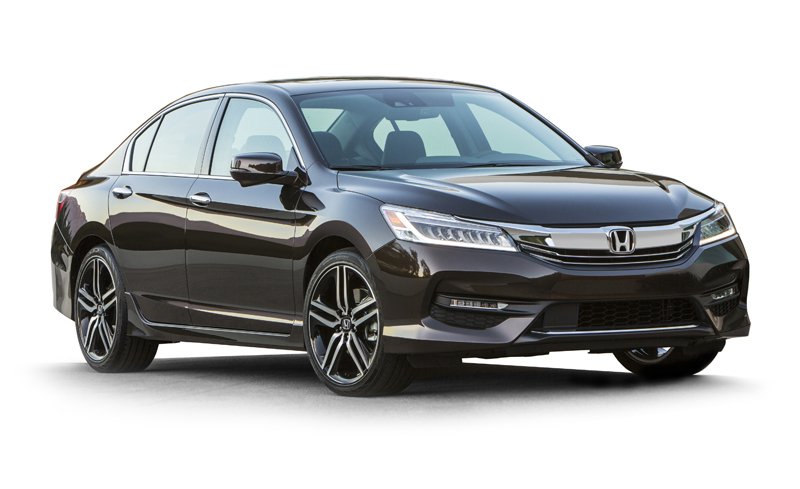 The Accord accelerates quickly and gets up to speed when merging onto the highway with faster-moving vehicles. It’s agile and perfectly sized so it doesn’t feel awkward to park or drive. Visibility is excellent thanks to large windows and small pillars. The sedan also soaks up potholes and other degradations in the road well. But when pushed, some engine noise is noticeable. While it’s sure-footed and comfortable, the steering is a bit loose for my tastes. Overall, it’s a practical family car and an excellent daily commuter. It’s also more fuel-efficient than the V-6, which is rated at 11 litres/100 km city and 6.7 highway. My inline-four tester is rated at 9.9 city/6.5 highway, which is respectable, especially if you do a lot of highway driving. All Accords also come with numerous standard safety features such as front airbags, front side airbags, side curtain airbags, active front seat head restraints, ABS with electronic brake force distribution and brake assist, vehicle stability assist with traction control, a tire pressure monitoring system, child-proof rear door locks and lower anchors and tethers for children (LATCH). 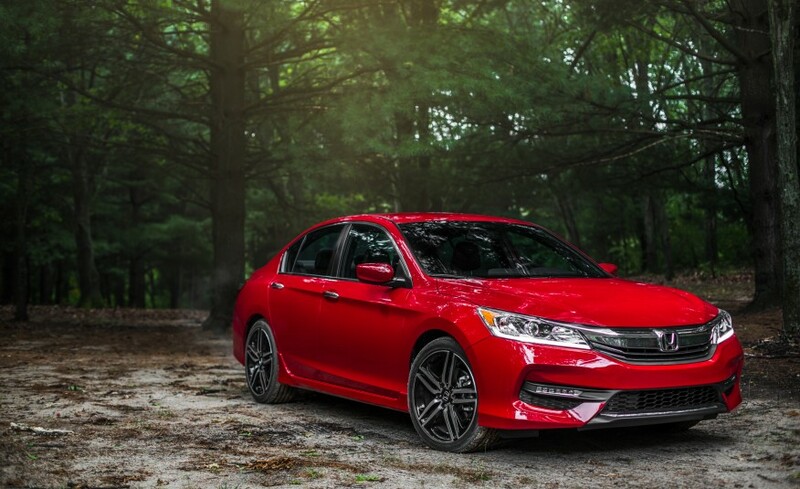 Amid the pack of mid-size sedans, the Honda Accord stands out as one of the best family cars on the market. This entry was posted in Accord Articles on January 16, 2015 by Administrator. WASHINGTON — Thirteen mid-sized cars have earned high marks on the insurance industry’s newest frontal-crash test, but a pair of Toyota models tested fared worse than the rest. 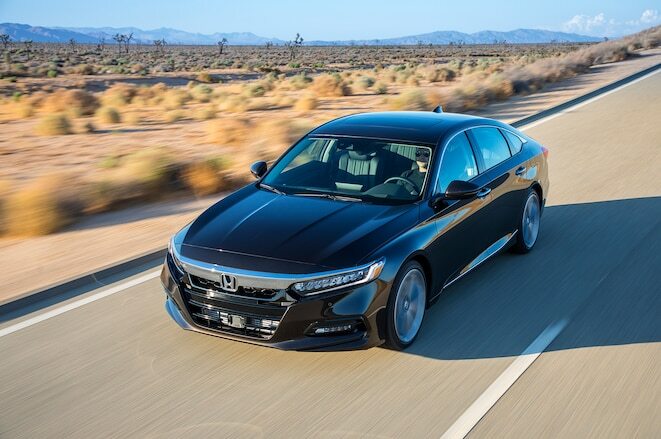 Honda used an approach known as ACE, or advanced compatibility engineering, to dissipate crash energy outside the area affected by a head-on crash. Pictured is the test of the 2013 Honda Accord four-door sedan. The so-called small overlap test involves crashing the front corner of a car into a barrier at 40 mph. The Insurance Institute for Highway Safety devised the test to simulate a collision with a stationary object such as a tree or a utility pole. 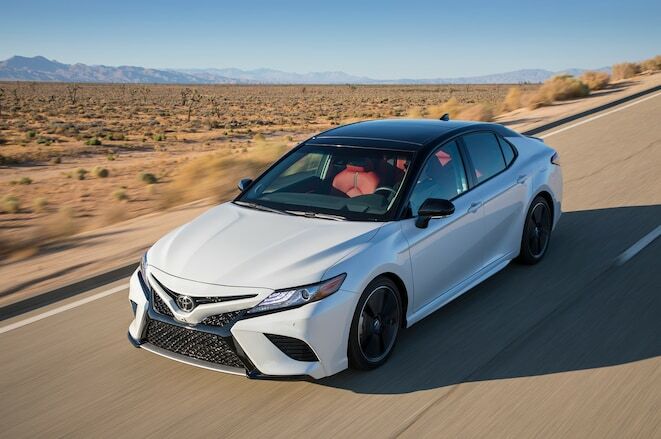 Just three out of 11 luxury cars rated “good” or “acceptable” on the insurance industry group’s first round of tests this summer, but today the IIHS gave a good rating to the four-door Honda Accord and the Suzuki Kizashi, and an acceptable rating to 11 more mid-sized cars. 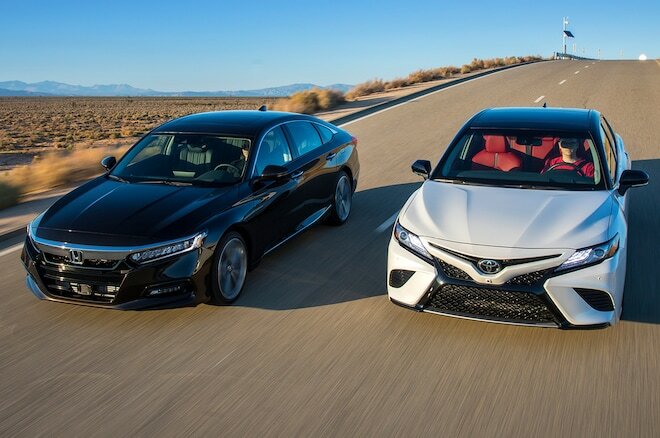 The Toyota Camry sedan and Prius v hybrid ranked worst on two measures of safety, leading IIHS to slap them with a “poor” overall rating. 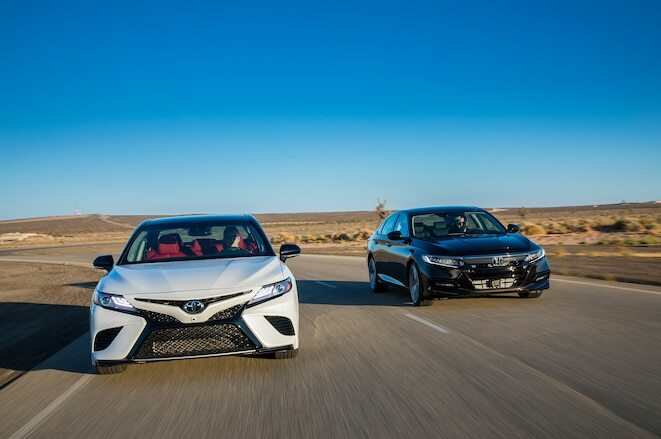 In both of Toyota’s vehicles, the crash caused significant intrusion into the occupant compartment — in the case of the Camry, the front wheel was forced sharply backward toward the driver’s feet. The driver-side airbags also failed to fully prevent a blow to the test dummy’s head in both crashes. “They’ve got to find a way to strengthen the occupant compartment and manage the forces out there on the edge of the vehicle,” Lund said of Toyota. During the small overlap test, 25 percent of the vehicle overlaps with a barrier during the collision, compared to 40 percent during the current moderate overlap test. Automakers are responding by adding structures to absorb impacts to the front corners of a car, and by strengthening compartments so that wheels cannot be forced so easily backward toward passengers’ feet. Ford, Subaru, Volkswagen and Honda all told IIHS they designed vehicles to handle the new test, Lund said, and Toyota has told the group it plans to follow suit. The spokesman added that Toyota leads all automakers in the number of models named “Top Safety Picks” for 2012 by IIHS. 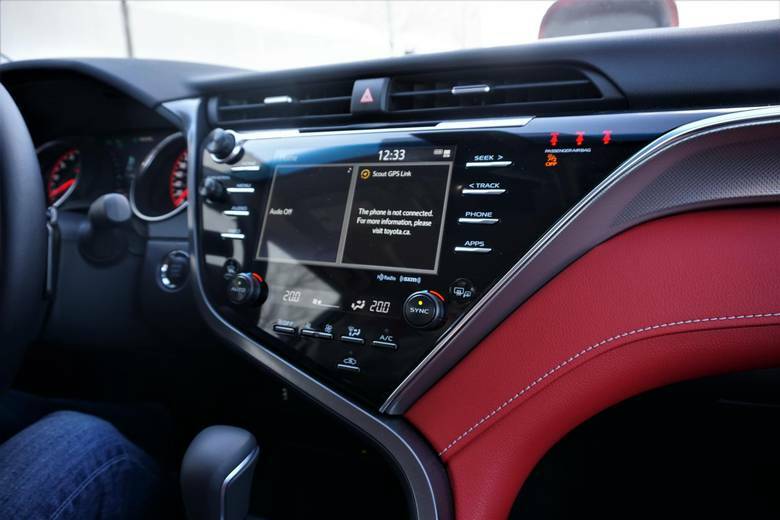 Those 19 models from Toyota, Lexus and Scion include the Camry and Prius v.
Honda used an approach known as ACE, or advanced compatibility engineering, to dissipate crash energy outside the area affected by a head-on crash. 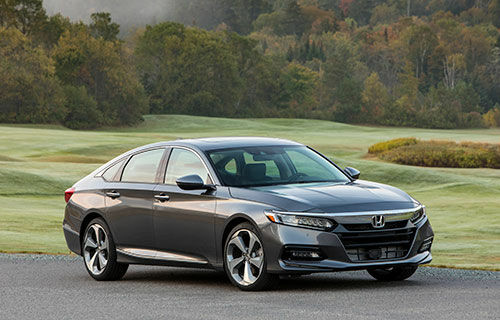 Chuck Thomas, chief engineer for automotive safety research at Honda, said the alterations added a bit of weight to cars such as the Accord, which was redesigned for model year 2013 with the new test in mind.